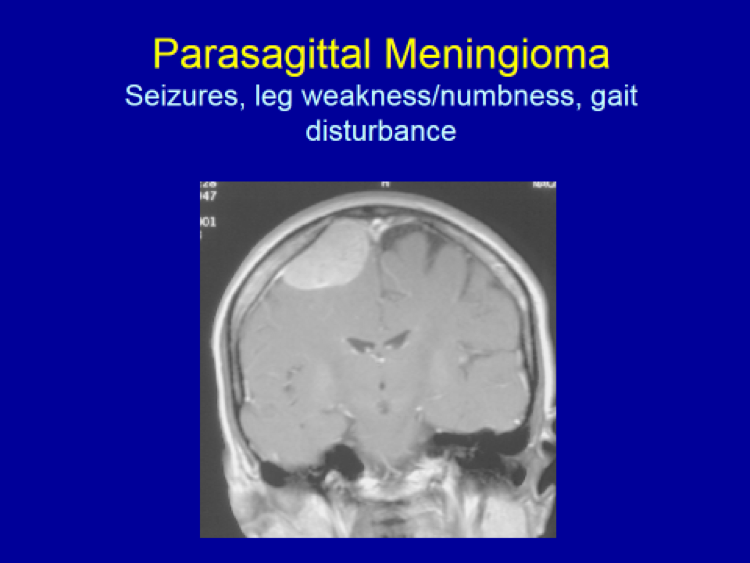 Meningioma may cause varying symptoms, mainly dictated by (1) the tumor location and (2) the extent of the “mass effect” or pressure exerted on the surrounding anatomic structures by the tumor itself and/or the “edema” (i.e. 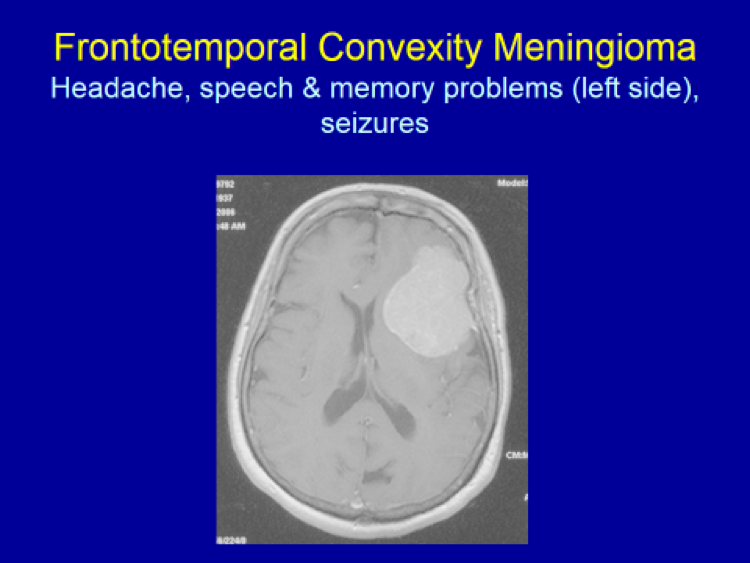 brain swelling) caused by the tumor when present. 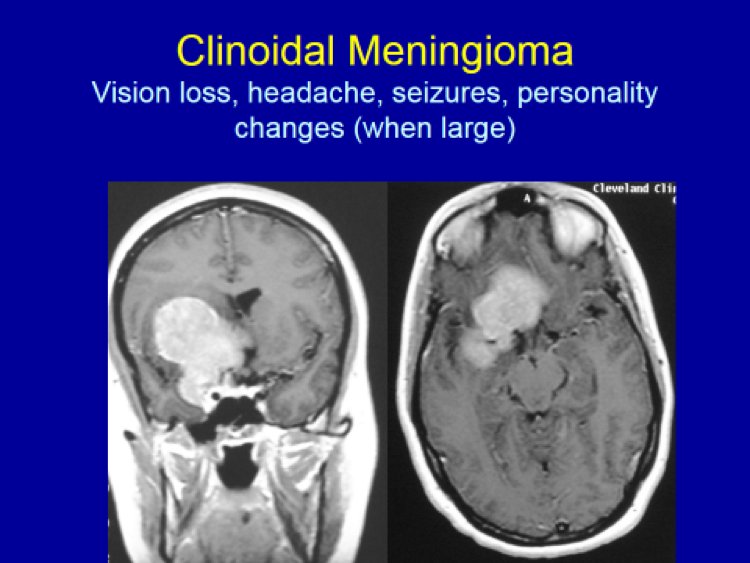 Small tumors, in the absence of any severe surrounding edema, usually do not cause any significant symptoms because of the negligible “mass effect”. 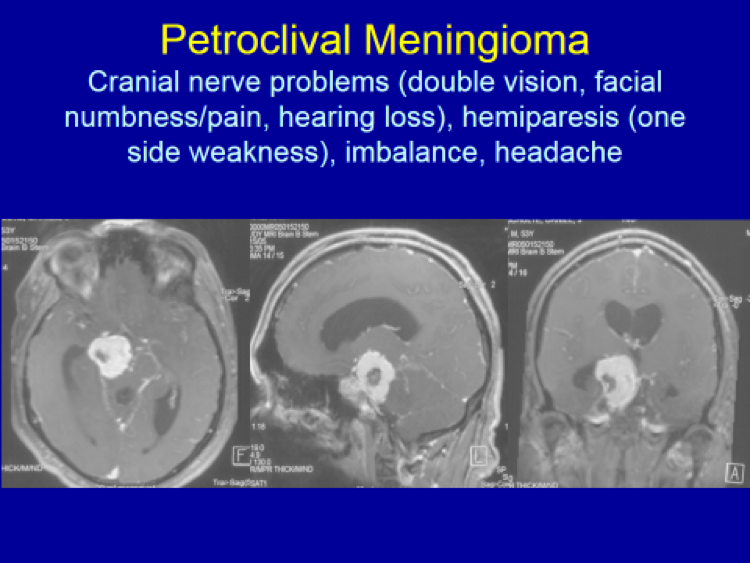 Sometimes, even large tumors may not cause any significant symptoms mainly because the tumor grew slowly and the surrounding brain accommodated well the gradually progressing mass effect. 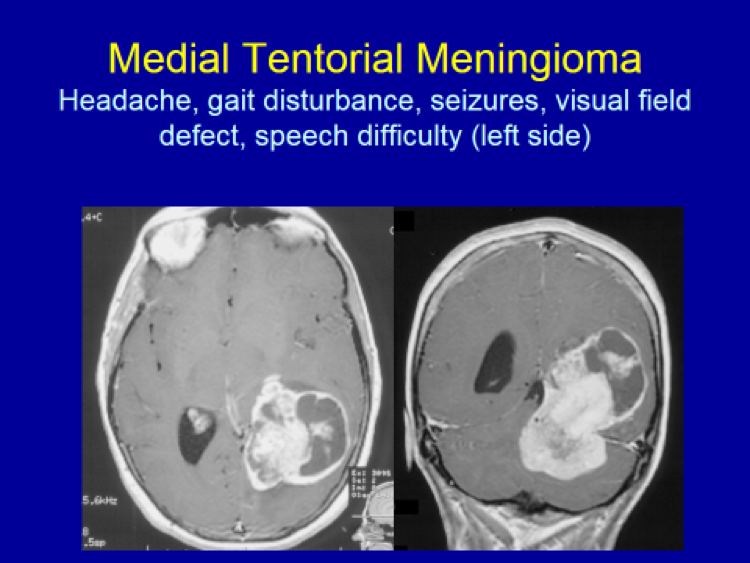 The following images are selected, and not comprehensive, examples of meningiomas. 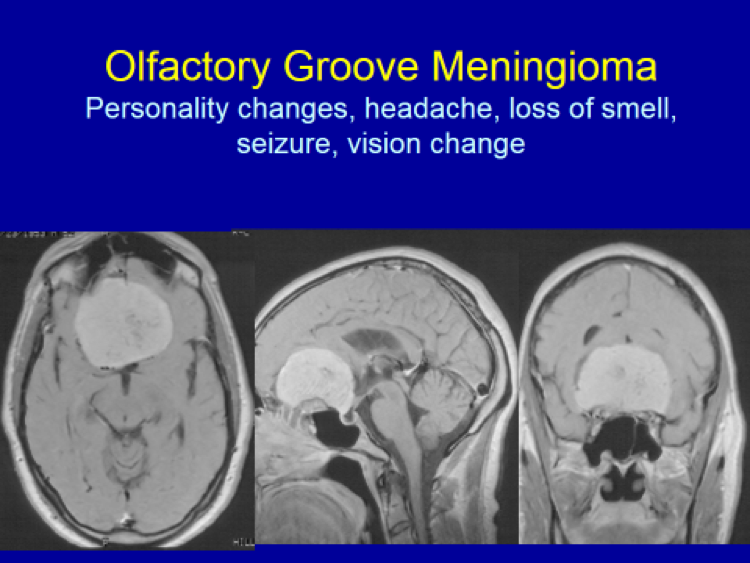 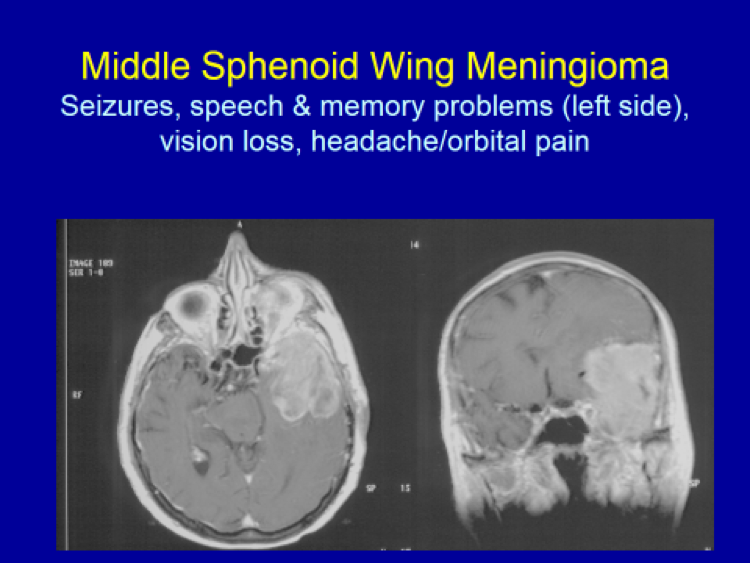 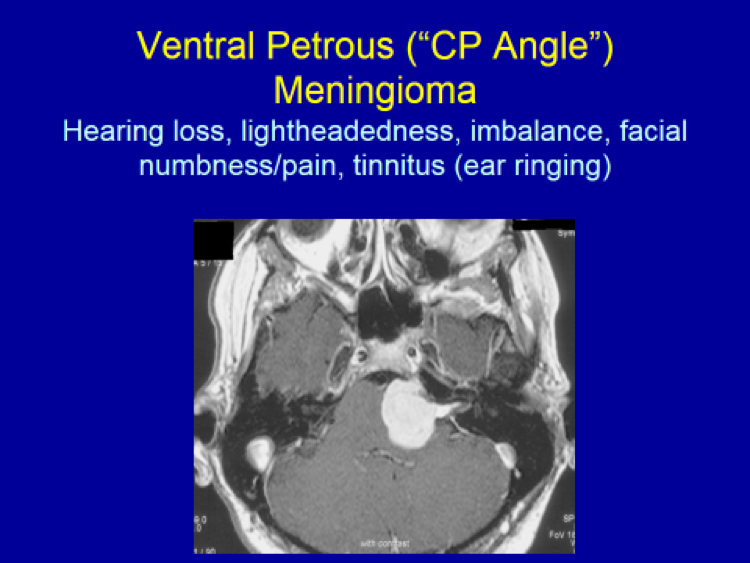 Common symptoms caused by these meningiomas according to their locations are presented.